Do you want to convert your Custom Indicators into Expert Advisors ? 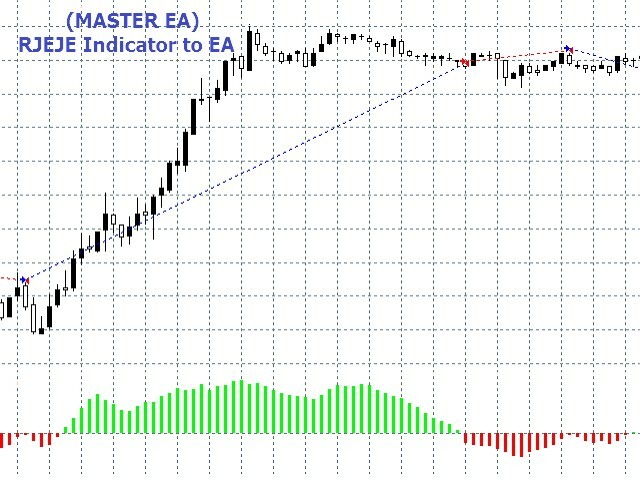 Master EA converts any Custom Indicator into an Expert Adviser so there is no need to pay a programmer to convert your indicator into an EA anymore !!. 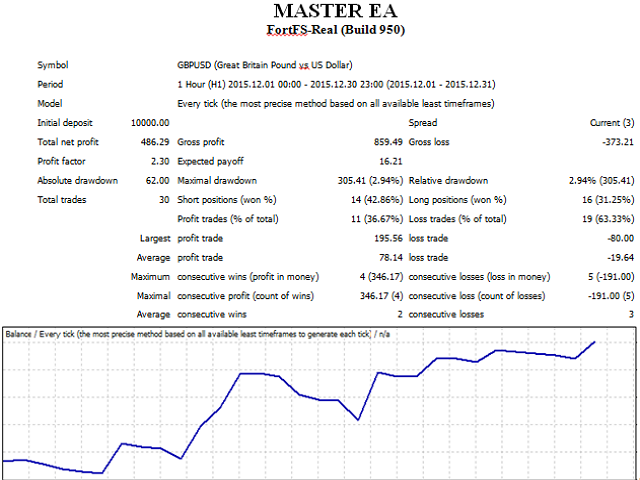 Master EA is equipped with all the necessary tools needed for you to convert any Custom Indicator into a complete strategy. Converts Custom Indicators to Expert. Average True Range (ATR) trailing. NOTE : The EA is designed to convert only Buffer Based Custom Indicators into an EA thus it won't work on Object based indicators. 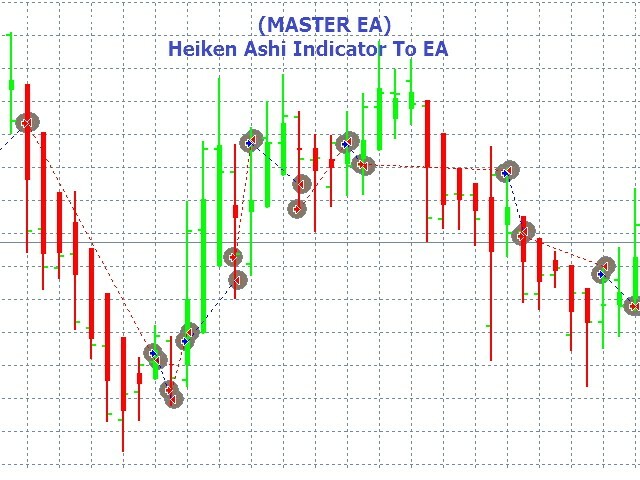 Test the EA in the strategy tester and make sure it is converting your indicator properly before purchasing. 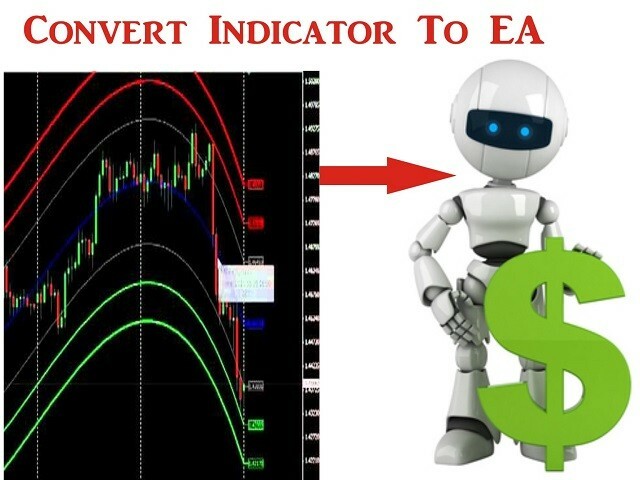 The EA is a constant work-in-progress until it is a able to convert all Indicators into an Expert thus if it does not convert your indicator into an Expert properly then contact us so we can factor your Indicator System into the EA. Enter the Indicator name you want to convert in the 'Indicator_Name' field of the input menu (Enter the indicator name exactly as it appears on your platform . CASE sensitive and Punctuation Sensitive). 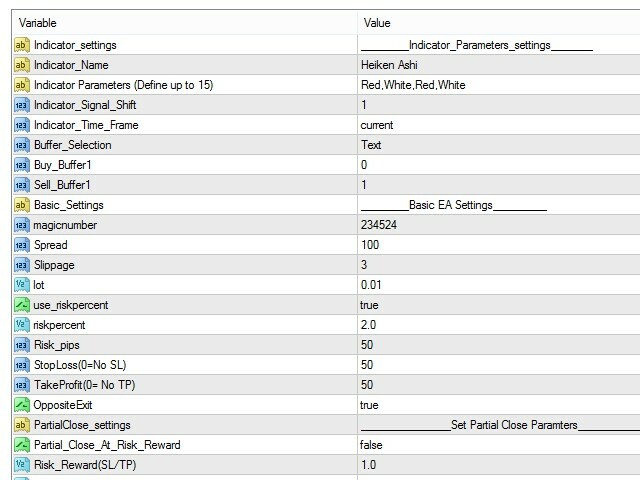 Enter the Indicator Parameters in the 'Indicator Parameters' field of the input menu (Enter all options and Separate each option with a comma). Enter the Buy and Sell buffers of the Indicator in the Buy Buffer and Sell Buffer field of the input menu. (If you don't know the buffers, there is an option to get the buffers automatically before you get it). What is the indicator buffer ? : An indicator buffer is the signal returned by the indicator. Buy Signals and Sell Signals have their different buffers. Buy and Sell Orders are entered based on the buffer. Click Buffer Set Button and the Buy and Sell buffers would appear on your screen. Indicator_Name: Enter Indicator name to convert (CASE SENSITIVE , PUNCTUATION SENSITIVE --E.g ZigZag , Heiken_Ashi). Buy_Buffer1: Enter Buy Buffer here if you chose Text for Buffer_Selection. Sell_Buffer1: Enter Sell Buffer here if you chose Text for Buffer_Selection. Having a problem with the EA opening orders on the same candle after the first position is closed. Needs to be fixed in order to use.